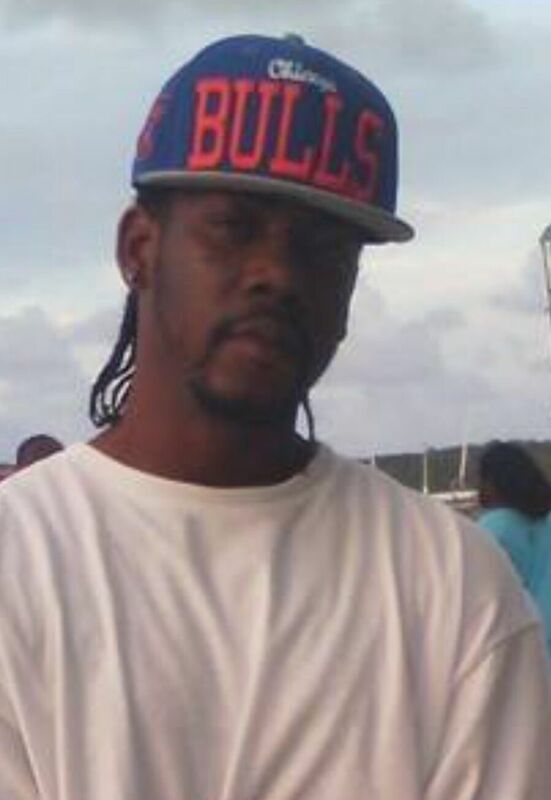 VALLEY, Virgin Gorda, VI- Reports reaching Virgin Islands News Online state that a man died by electrocution in Virgin Gorda sometime this afternoon, August 31, 2015. This news site can confirm that the man has been identified as Alex George aka Ants. According to reports, George, an employee of the BVI Electricity Corporation (BVIEC), was working on a utility pole in the North Sound area when he came into contact with a live wire. Reports indicate that electricity was off at the time but returned and one of George’s feet came into contact with the live wire and he was electrocuted. Efforts to get a comment from the BVI Electricity Corporation were futile up to post time. 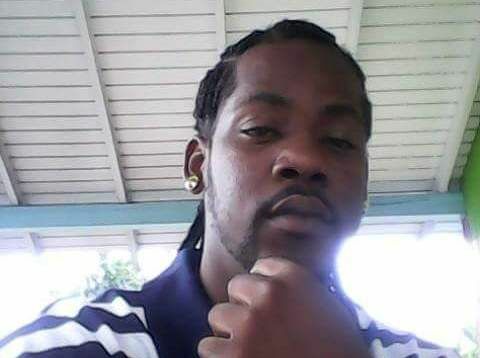 However, Police Information Officer Diane Drayton confirmed the incident, noting that the now deceased was working on a utility pole at the time of his electrocution. Virgin Islands News Online will bring more details as information comes in. This is so sad, You were real cool people man, this one here hit hard. RIP my boy. I understand where @Gosh is coming from... before restoring power, MAKE SURE NO ONE is on ANY POLE in the area. Simple protocol! This caused this young man his LIFE! Don't they have radios to communicate ? To know who exactly is working on which pole, in which area, at what time ? Electricity IS NOTHING TO PLAY WITH, OR TO BE NONCHALANT WITH! Listen here. Common sense. YOU NEED permission before you turn a switch on. Don't be naive. Gosh knows exactly what they're saying . how is that careless ?if he had on necessary gear? how could it be the necessary gear when he got electrocuted??? small minded idiot...everything has to be political!!! really??? This is nonsense. Somebody need to be held responsible for this. Why turn on the power while the young man was still on the pole. This is lunacy. I hope they file a wrongful death suit. "Reports indicate that electricity was off at the time but returned and one of George’s feet came into contact with the live wire and he was electrocuted" If I am correct, when these good gentlemen go up onto these poles, the Main line or the electricity in the area is purposely shut off so that they can go up and work. How is it Electricity could magically come on and the young man got electrocuted? Something not right here. Its either someone turned it on which I doubt or, there was some other source pulling/pushing the electricity through the lines for example a generator which was not switched off. Something has to pull/push the electricity still. Something is not grounded. I with you on that, some kind of electricity was still going through those lines for that to happen. If it was a generator... isn't it illegal to send power back to the grid?????? Then that Company/person is responsible for what happened and not the BVIEC. This is so sad. Words can't express, always been a cool person, real and down to earth - Only Jag knows why..
Heavenly father, bring healing for the family and our land. Careless behaviour from the staff of electricity, whoever is responsible for heading this type of job. More caution needs to be taken. Watch, this calls for a Police investigation, its possible this could be a homicide. Really sad to hear this. My condolences goes out to his entire family. mummy i know this must hit u hard. may God comfort u. RIP Antz . for the time i knew u , u was always easy going. Oh how sad! Mummy i'm praying for you and the family. A fine young man sad he left us this way. This is so unfortunate ,but it must be a top priority for these men to communicate properly when working in the field like that. It must be a proper lockout ,tagout procedure in place and the person himself or the supervisor give its all clear to turn on power.managagement need to stepup,this will not be the last.RIP Bro. Our heartfelt condolences goes out to his mom, father, siblings and entire family. I can't seem to adjust to such tragic news of how he lost his life. Many questions we may have but Jehovah God knows best. You lived a peaceful and humble life and though this ordeal has brought us all grief we all should be reminded by the true realization of how you lived. "Peacefully". Rest In Peace, gone to soon but will never be forgotten. Ill like to see standard procedure for this. No one in their right mind will just turn on the power when someone is on the pole. This could have been anyone of the other guys. This was clearly an accident and very unfortunate. RIP Mr. George and may God strengthen the family and may God protect the workers of BVIEC. I am waiting to hear. That's true. Did that person stop to think about the young man family? If is was their love one how would they? Before we do or say anything we need to question ourselves. That's the problem with our society. It's like social media is making them stupid, they are so caught up in crap, they're losing sight of courtesy. It is truly disheartening that we live in a world where some people no longer respect the dead, if they see someone dying they would quickly reach for their phones to capture it than to try and save that person. I am a journeyman linesman.From reading the comments,I can understand everyone's position.You all need to mourn the death of a countryman and comfort his family and workmates first.After that,let the investigation run its course.Whatever went wrong will be identified and remedied.Please let the process start and go till the end.I am not in your country,but was involved in a similar event.I know how it feels! it also down grade the HT from 13,000 volts to 110/220 use in your house. An improperly installed generator can back feed and energize the power grid and pose danger to linesmen working on power lines. Back up generator needs to be installed so that it is isolated from the power grid, ie, BVIEC lines( disclaimer: do not know what cause the fatality). A double-pole, double-throw transfer switch can prevent the back feeding. Back up generators should be installed in accordance with BVIEC rules. If a home or business owner lacks the skills to effectively install a backup generator, he/she should employ a license electrician. Impropetly installing a generator can have tragic consequences with bankruptable financial cost. I never cried so much since my father died !!! One of my best friend....coolest dude I've known throughout my WHOLE life ---- and I know for a FACT he LOVED his little girl to the moon and back --- there was no doubt about that ---- She will surely miss him !!!!!!!!!!!.... maaan I cant take it no more !!! Tears streaming down my face non stop !!!! Its hard ... I dont think I can even make it to his Funeral.... This will be too much to handle !!!! I will always Love u boo !!!! Two points. First, let me offer my warmest condolences to Alex George's family on the sudden and unexpected loss of their love one. May he RIP and in time may the family find peace, solace and comfort in the difficult days ahead. Secondly, I'm not privy to what exactly cause Mr. George's death so I will exercised some fire discpline and withhold any comment on the incident. Instead, I will offer some brief observations on working on high volume pole lines and about electricity in general. There is no doubt that electricity is a wonderful utility that improve our lives, making them better and happier. Many of our seniors have lived without electricity. But let's imagine life without electricity. Unimaginable! Nonetheless, electricity comes with its own set of rules, procedures and practices that if violated too often comes with a huge price. Violating electricity rules is unforgiven. It does not discriminate; it does not care if you rich or poor, local or expat, Black/White/Asian or Hispanic or male or female. If you do not adhere to the established rules, you will pay. There is an old saying in the electrical field that says that there are no old careless electricians. True, some people that violate the rules over and over and nothing happens for a while. Nevertheless, one day under the right/wrong conditions the unthinkable may happen-death. But this can be avoided by working safely and following the rules. In regards to pole line repair, an agency should have strict operational protocols in place, including experienced and qualified on site supervision. Further, except in the rarest of emergencies, pole line work should not be done hot. And if worked is being done while the line is hot, personnel should be wearing protective gear and using protective tools, along with following the customary safety practices. And though the discussion is about outdoor pole line repair, statistics show that more people die from indoor electrical incidents. Respect electricity and it will serve you well; disrespect it and death may result. Work safely and go home to your families alive. BVIEC, this incident requires a Safety Stand Down. Safety first, today and tomorrow. 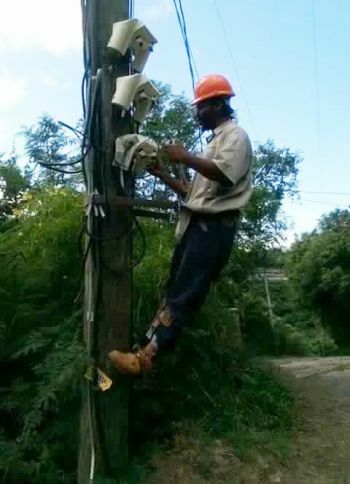 I know this is you BVI Electricity .... instead of addressing the fault (Of the Worker) in the Comments .... You should show the family and community respect and Address this in public and the Media !!!!!!!! Because it seems that you have a Managerial position and KNOWS the handbook in and out !!!!!!!!!!! Faye dearest, you are off the mark and missed the target by a country mile, for I'm not a corporation nor the BVIEC. However, I'm sure facts acquired, BVIEC will brief the public. MAy his family be comforted through this time of bereavement. One observation, how come the fuses are while the man in the pole. It hurts when death take place because of protocols been broken? I too heard that BVI Electricity's power was off and that a generator's feedback may have caused this incident. Quite sad. Standard operating protocol when working on electrical panels or other "hot work" is for a lock out-tag out procedure. Was this not in place? RIP to the young man involved and my deepest condolences to the family. I paid BVIEC a few thousand dollars to come r power. They came to my home run the power and as of today never buried the cable. I call twice and thirty days gone not a man ain't come. So if something so simple was done carelessly what about other works they do. I am sorry for the lost of an innocent man.